Canon EOS-R and Nikon Z series cameras now have a new third party 50mm f/1.7 manual focus lens. 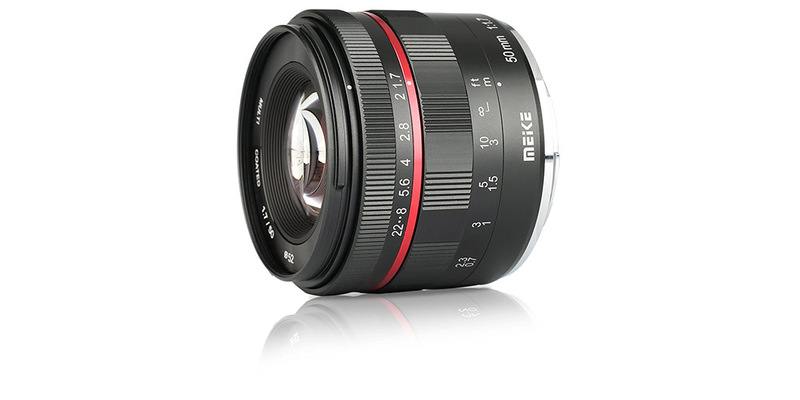 Meike has announced a 50mm f/1.7 lens version for the Canon EOS-R and Nikon Z series cameras. The photographic equipment company with its headquarter in Hong Kong has now included Canon RF and Nikon Z mirrorless mount systems to its list of MK 50mm f/1.7 lens supported cameras. For the most part, the various lenses that have been announced or that are expected for the Canon RF and Nikon Z mirrorless mount systems have been a bit pricey. However, Meike is changing that story. 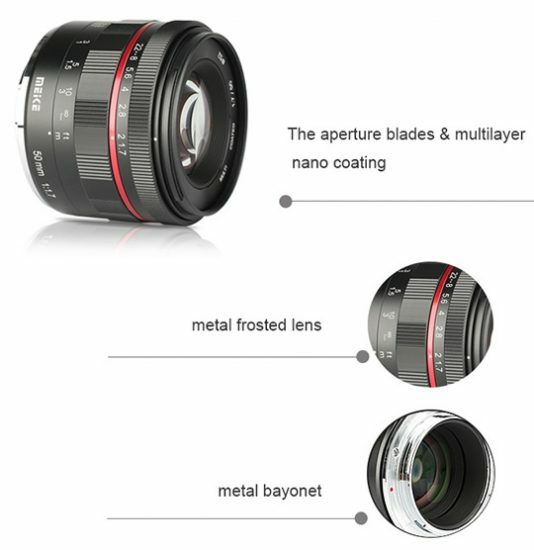 It is keeping its reputation of making interesting super low budget lenses and grips for mirrorless cameras and DSLRs. 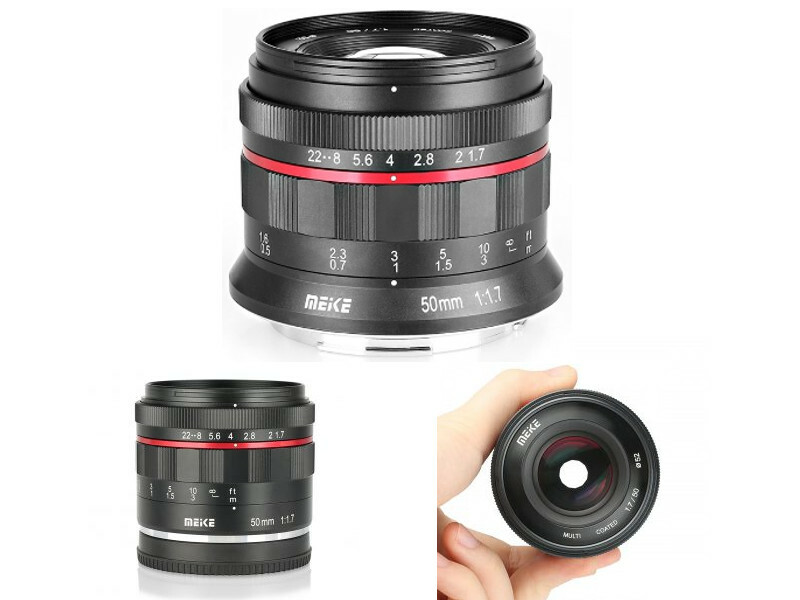 Its MK-50mm f/1.7 manual focus lens is suitable for a wide variety of photography applications using mirrorless cameras. The camera gear producer had initially released the MK 50mm f/1.7 back in May 2018 for Sony E mount cameras. Meike also re-engineered the MK 50mm f/1.7 lens to make a suitable version for Fuji X series cameras. The company has now formally announced that their manual focus MK 50mm f/1.7 lens is now available for Nikon Z and Canon RF mount cameras. 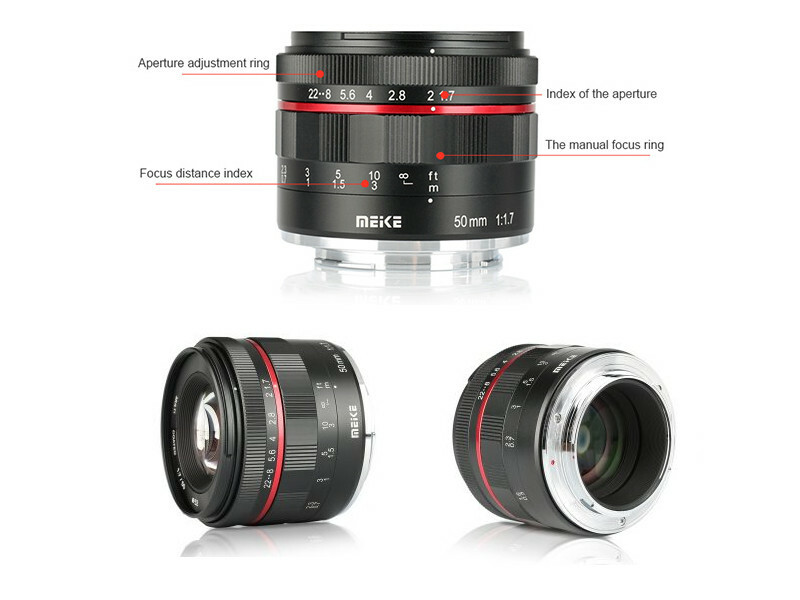 Meike launched this super low budget manual focus full-frame lens with several interesting features. The construction of the lens itself comprises of 6 elements in 5 groups. The MK-50mm f/1.7 is a manual fixed prime lens. It employs several layers of optical coatings which helps to reduce the effect of lens flare and ghosting. In addition to the unit’s brushed metal construction and metal bayonet mount, it features a frosted surface to help keep out dust and water. This makes the MK 50 mm f/1.7 an ideal lens for portrait, still life, and street photography. The lens comes with a design that makes it resistant to dust and moisture. A brushed metal construction houses the lens with a metal bayonet mount. According to Meike, the MK 50 mm f/1.7 lens is weatherproofed because of the multi-layer nano-optical coating technology that was used. This implies that the lens can safely function in some pretty harsh conditions. The nano-optical coatings also help the lens to efficiently reduce ghosting and flare. The lens is constructed with 6 elements in 5 groups and weighs 310g. It has a minimum focusing distance of 50cm. It is a 35mm full frame lens with a maximum aperture of f/1.7 which helps to build blur picture. The 61mm x 54.5mm has a filter diameter of 52mm and a minimum aperture of f/22. Meike’s manual focus MK 50mm f/1.7 lens for Nikon Z6/Z7 and Canon EOS R cameras is now available. It comes as a package with a lens pouch, a front lens cap, a rear lens cap, a lens hood, and a lens cloth. The company is yet to announce the exact price and availability. However, the prices online so far range between $110 USD and $140 USD. In addition, versions for the Sony E mount and Fujifilm X series cameras are also available for $100 to $110.